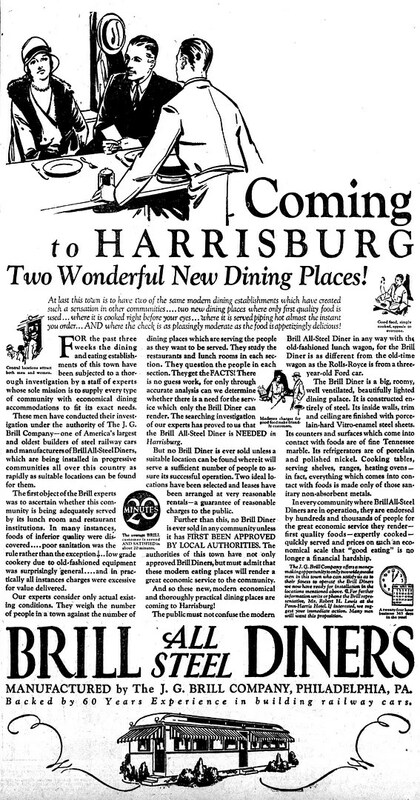 This entry was posted in Diners / roadside related, Diners/ restaurants and tagged 1920s, 1930s, 1940s, Brill, Brill Steel Diner, DeLite, Deluxe, diner, dining, dining car, Harrisburg, restaurant, Vintage, Wason Mfg. Co., YWCA by Spencer Stewart. Bookmark the permalink.